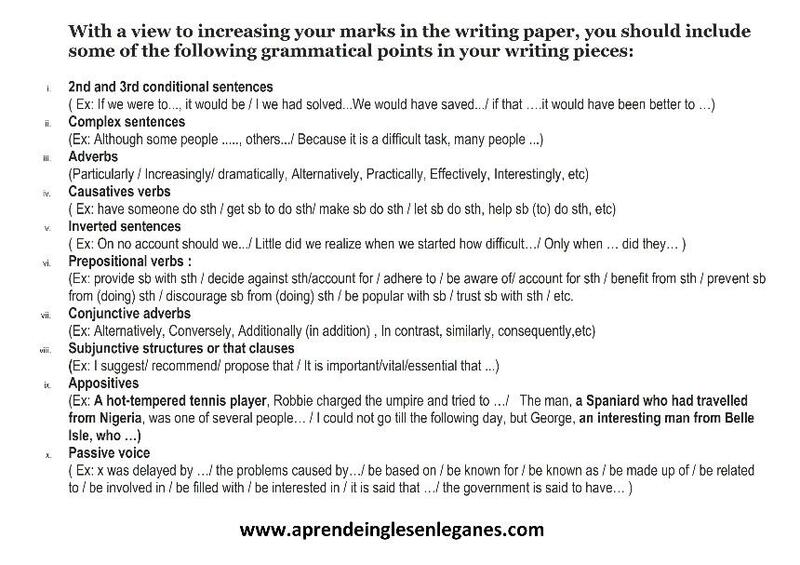 If you've ever wondered what you should write in an essay to increase your marks, read on. Have a look at the list below. By using the 10 grammatical points contained in it , you will stand out from the rest of students and will ,therefore, give Cambridge English examiners a good reason to give you good marks.